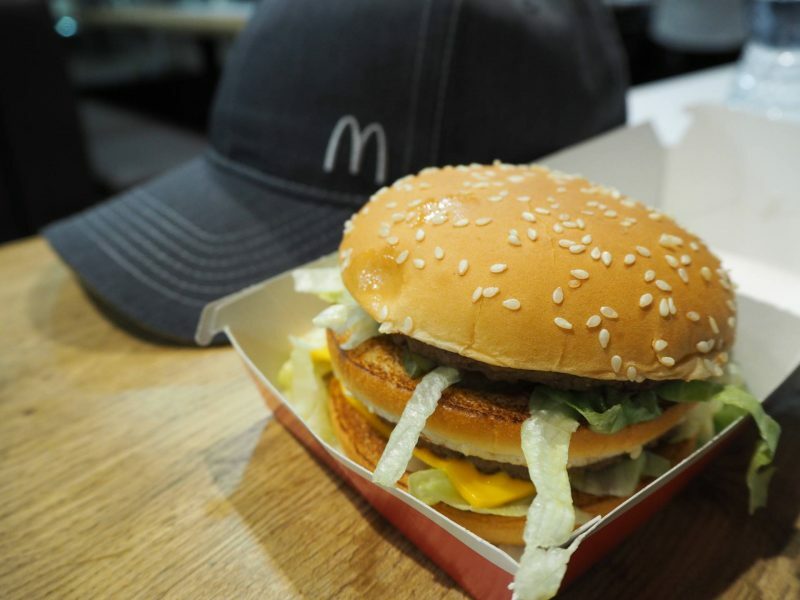 Can You Believe It…The Big Mac Celebrates It’s 50th Birthday! Yes, that’s right the McDonald’s Big Mac is celebrating it’s 50th Birthday this year and it’s not celebrating quietly. The one and only Chesney Hawkes and Jason Donovan have teamed up together to give us a real treat. Taking us back to 1974 and recreating the original Big Mac advert with a tongue twister of the legendary ingredients that go into a Big Mac. They go head to head to perform it…It’s not to be missed! And if that wasn’t enough there is more to help celebrate. For a limited time only the Big Mac is being joined by the Grand Big Mac and the Mac Jr. This was music to my husband’s ears and he couldn’t wait to try out the Grand Big Mac, whilst I was quite pleased to see a Mac Jr, joining the family as this is more the size of burger I can manage. So, what do you get with them? The Grand Big Mac is all the same well loved ingredients of a traditional Big Mac, but its just in a larger size. Whilst the Mac Jr, is all the same iconic ingredients, but with 1 less patty. Are you tempted to give them a try? Did you know that the Big Mac, nearly wasn’t called a Big Mac, which seems crazy now that it is so iconic. The man who invented the burger wanted to call it ‘The Aristocrat’, but McDonalds decided in the end to go with the name Big Mac. It took him 2 years to prefect the legendary sauce which for a long time remained a secret. The Big Mac made it’s first appearance in the UK in 1974 in the UK’s first McDonalds restaurant on Woolwich High Street.It is now one of the most iconic burgers worldwide. Last year I got to experience making a Big Mac at McDonald’s and it was actually my first time ever eating one too! I know, I’m a bit slow, but I was always a quarter pounder girl. I know that Andy and I will be making the most of the limited time the Grand Big Mac (for Andy) and the Mac Jr (for me) are in the restaurants. If you would like to join in with the celebrations and share your attempts at trying to master the ingredient tongue twister. 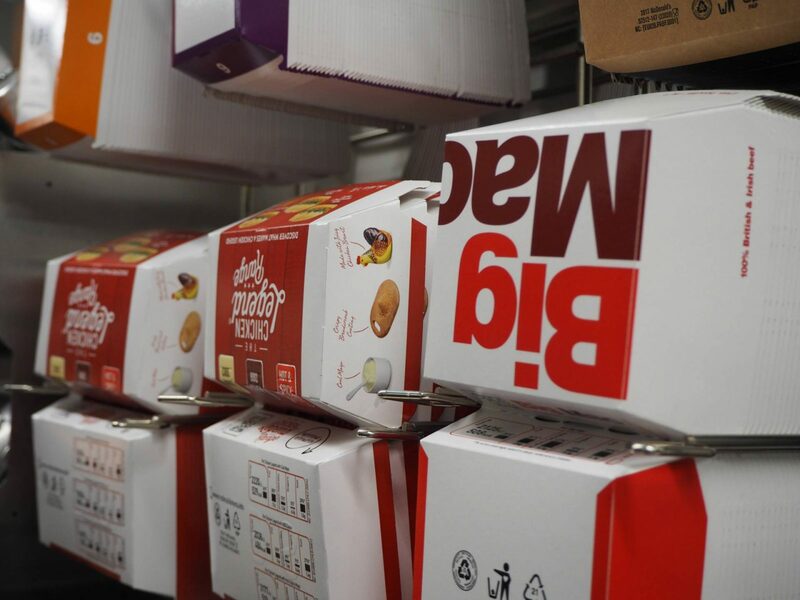 Make sure you use #BigMac50 when sharing it on social media. I think Andy and I will have a head to head battle to see who can do it the best! Disclosure: This post is in collaboration with McDonald’s. Wow can’t believe it’s been 50 years since the creation of the Big Mac…mmmm feeling hungry writing that! I have to say I never to go McDonald’s and as a vegan I won’t be trying the burgers… but I absolutely love the Chesney and Jason adverts and promotional campaigning. Some of the stuff I have seen on Twitter is brilliant! I must tell my husband. He’ll definitely be up for the Grand Big Mac. And like you I’d go for the Jnr! Can’t believe it’s been 50 years! I do love a big mac – especially when I’m hungover and craving carbs! I always order a big Mac whenever we go for a rare McDonald’s treat as its my favourite . I remember having my first one too as my mum let me and my sister have one after we had a day out together. I love the Mac Jnr meal. It’s the right size for me. I haven’t had a Big Mac in years. Loving the sing-off!